Pregnancy and becoming a parent will bring about significant changes in your relationships especially if this is your first baby. As well as adjusting to the major changes that are occurring in your life you will also be dealing with the effects of hormonal emotional ups and downs and the physical changes to your body. Whilst you and your partner will most likely be feeling excited about the arrival of your baby, it is also common for your relationship to experience some stresses and strain. If you are able to talk openly with your partner, family and friends about your feelings and experiences it can help to clear up misunderstandings, strengthen your relationships and avoid future conflict. 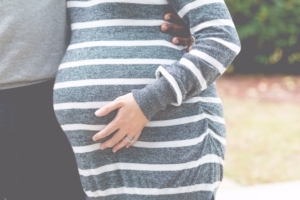 If you are feeling concerned about the stresses of pregnancy and the effects it is having on your relationships, talk to your healthcare provider. Relaxing into Parenting and Baby Makes 3 is an evidence based program aimed at increasing the confidence of expectant parents during their transition to family life. You will gain the skills to manage stress, strengthen relationships and know where to seek personal and professional support in the community when you need it. This is a free group conducted over four weeks during the prenatal period and one session postnatally.